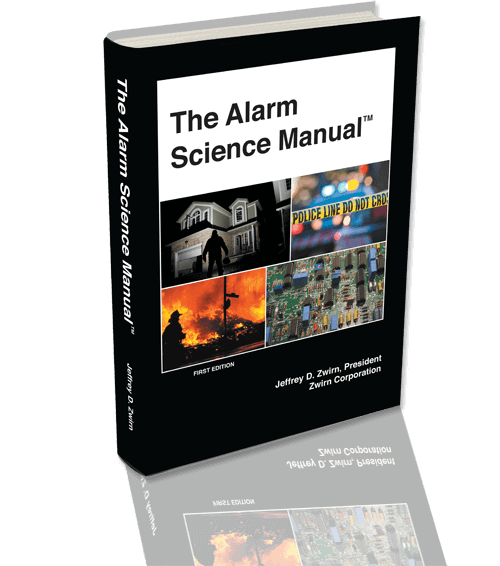 Expert technical and scientific training resource to alarm, central station, security and law enforcement professionals. NICET Level IV Certified Senior Engineering Technician (SET) in Fire Protection Engineering Technology/Fire Alarm Systems (NICET), Certified by NICET in Fire Protection Engineering Technology/Automatic Sprinkler System Layout Level I, Certificate Number 111275, through the National Institute for Certification in Engineering Technology, a Division of the National Society for Professional Engineers. Appointed and Recognized by the National Fire Protection Association in the Special Expert (SE) Category, as a Principal Technical Committee Panel Member for NFPA 72 of the National Fire Alarm Code and for NFPA 72 of the National Fire Alarm and Signaling Code, National Fire Protection Association International- The National Fire Protection Association was founded in 1896 and is considered authoritative by the engineering, technical, and professional communities of the fire alarm and life safety industry, among many other entities both worldwide and internationally, which includes, but is not limited to authorities having jurisdiction, governments, and private and public organizations. STP 260, Check, Dry Pipe, And Alarm Valves For Fire Protection Service Covering: UL 193-Alarm Valves For Fire-Protection Service, UL 260-Check, Dry Pipe, And Alarm Valves For Fire Protection Service Covering, UL 312-Check Valves For Fire-Protection Service, UL 753-Alarm Accessories For Automatic Water-Supply Control Valves For Fire Protection Service, UL 1469-Strength Of Body And Hydraulic Pressure Loss Testing Of Backflow Special Check Valves, And UL 1486-Quick Opening Devices For Dry Pipe Valves For Fire-Protection Service. STP 294, Access Control Systems, Covering The Following Standards: UL 294A-Standard For Access Control Systems, UL 294B-Standard For Access Control Systems Using Power Over Ethernet (PoE), And UL 294C-Standard For Short Range Radio Frequency Devices Used In Access Control Systems. STP 2075, Gas And Vapor Detectors And Sensors. STP 0217, Smoke Detectors And Alarms, Covering The Following Standards: UL 217, Single And Multiple Station Smoke Alarms, UL 268, Smoke Detectors For Fire Alarm Signaling Systems And UL 268A Smoke Detectors For Duct Application. STP 1730, Smoke Detector Monitors And Accessories For Individual Living Units Of Multifamily Residence And Hotel/Motel Rooms. STP 0260, Valves For Fire-Protection Service, Covering The Following Standards: UL 193, Standard For Alarm Valves For Fire-Protection Service, UL 246, Standard For Hydrants For Fire-Protection Service, UL 260, Standard For Dry Pipe And Deluge Valves For Fire-Protection Service, UL 262, Standard For Gate Valves For Fire-Protection Service, UL 312, Standard For Check Valves For Fire-Protection Service, UL 789, Standard For Indicator Posts For Fire-Protection Service, UL 1091, Standard For Butterfly Valves For Fire-Protection Service, UL 1468, Standard For Direct Acting Pressure Reducing And Pressure Restricting Valves, UL 1469, Standard For Strength Of Body And Hydraulic Pressure Loss Testing Of Backflow Special Check Valves, UL 1478, Standard For Fire Pump Relief Valves, UL 1486, Standard For Quick Opening Devices For Dry Pipe Valves For Fire Protection Service, UL 1726, Standard For Automatic Drain Valves For Standpipe Systems, And UL 1739, Standard For Pilot-Operated Pressure-Control Valves For Fire-Protection Service. STP 2238, Cable Assemblies And Fitting For Industrial Control And Signal Distribution. STP 1977, Data, Signal, Control And Power Connectors. STP 0864, Fire Protection Signaling Equipment, Covering The Following Standards: UL 864, Standard For Safety For Control Units And Accessories For Fire Alarm Systems; UL 1481, Standard For Safety For Power Supplies For Fire-Protective Signaling Systems And UL 1711, Standard For Safety For Amplifiers For Fire Protective Signaling Systems. STP 2017, Purpose Signaling Devices And Systems. STP 0010 Fire Doors, Covering The Following Standards: UL 9, Standard For Fire Tests On Window Assemblies; UL 10A, Standard For Tin-Clad Fire Doors; UL 10B, Standard For Fire Tests Of Door Assemblies And UL 10C, Standard For Positive Pressure Fire Tests Of Door Assemblies, 14B, Standard For Sliding Hardware For Standard, Horizontally Mounted Tin-Clad Fire Doors, 14C, Standard For Swinging Hardware For Standard Tin-Clad Fire Doors Mounted Singly And In Pairs. STP 205, Alarm System Services, Covering The Following Standards: UL 681, Installation And Classification Of Burglar And Holdup Alarm Systems, UL 827, Central-Station Alarm Services, UL 1641, Installation And Classification Of Residential Burglar Alarm Systems And UL 1981, Central-Station Automation Systems. STP 205A, Premises Security-Control Units And Accessories, Covering The Following Standards: UL 294, Access Control System Units, UL 365, Police Station Connected Burglar Alarm Units And Systems, UL 603, Power Supplies For Use With Burglar Alarm Systems, UL 609, Local Burglar Alarm Units And Systems, UL 636, Holdup Alarm Units And Systems, UL 1076, Proprietary Burglar Alarm Units And Systems, UL 1610, Central-Station Burglar-Alarm Units And UL 1635, Digital Alarm Communicator System Units. STP 205B, Premises Security Initiating Devices, Covering The Following Standards: UL 606, Linings And Screens For Use With Burglar-Alarm Systems, UL 634, Connectors And Switches For Use With Burglar-Alarm Systems And UL 639, Intrusion-Detection Units. STP 205C, Residential Signal Equipment, Covering The Following Standards: UL 985 Household Fire Warning System Units, UL 1023, Household Burglar-Alarm System Units And UL 1637, Standard For Home Health Care Signaling Equipment. STP 205D, Antitheft Alarms And Devices, Covering The Following Standards: UL 1037, Antitheft Alarms And Devices. STP 0521, Heat Detectors, Covering The Following Standards: UL 521, Heat Detectors For Fire Protective Signaling Systems. STP 0038, Manual Signaling Boxes For Fire Alarm Systems. STP 0752, Bullet Resisting Equipment, Covering The Following Standards: UL 972, The Standard For Burglary-Resisting Glazing Materials And UL 752, The Standard For Bullet-Resisting Equipment. STP 0096, Lightening Protection Components, Covering The Following Standard: UL 96, The Standard For Lightning Protection Equipment And UL 96A, Installation Requirements For Lightening Protection Systems. STP 0218, Fire Pump Controllers, Covering The Following Standards: UL 218, The Standard For Fire Pump Controllers And UL 218A, The Standard For Battery Contactors For Use In Diesel Engines Driving Centrifugal Fire Pumps. 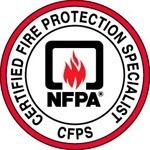 STP 0555, Dampers-Fire, Smoke And Related, Covering The Following Standards: UL 555, Standard For Fire Dampers, UL 555C, Standard For Ceiling Dampers And UL 555S, Standard For Smoke Dampers. 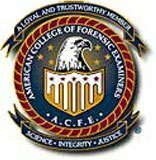 Certified Criminal Investigator (CCI), American College of Forensic Examiners International SM (ACFEI). All services provided by IDS Research & Development, Incorporated are subject to the terms, conditions, and limitations of the IDS Expert Witness Agreement For Services. It is strictly prohibited to republish, restransmit, or reproduce any images on this website.